After a big success in the 6th KJT international symposium, Seoul, we strive to make our next symposium, the 7th Japan-Taiwan-Korea (JTK) International Symposium on Microbial Ecology. The symposium will take place at Kijo Plaza in Tsuchiura, Japan, on 17-18 October, 2015. In the same place, the 30th Annual Meeting of Japanese Society of Microbial Ecology (JSME2015) will be held from 17th to 20th October, 2015. We are planning a vibrant scientific program, based on the theme, “microbes and climate change”, and co-organized with English sessions of the JSME2015. Opportunities for young as well as senior researchers will be considered for session conveners in the symposium. Tsuchiura City is situated about 65 km north of Tokyo and along the western shores of Lake Kasumigaura, the second biggest lake in Japan. It takes 70 min. from Tokyo to Tsuchiura by local train and 45 min. by express. 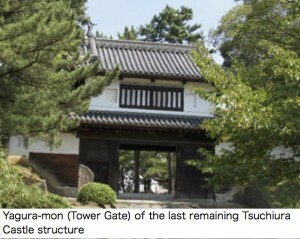 The venue, Kijo Plaza, is at the center of downtown Tsuchiura, facing Kijo Park (Tsuchiura Castle remains). We invite you to this stimulating symposium and are looking forward to welcome you to Tsuchiura.